Seafood entrées are sublime at Larkspur: first day fresh, subtly seasoned, prepared to exacting standards of taste and texture. Our Sterling Silver Steaks are the top 12% of all beef, High Choice and Prime steaks. We hand select, age, hand cut and grill to perfection. 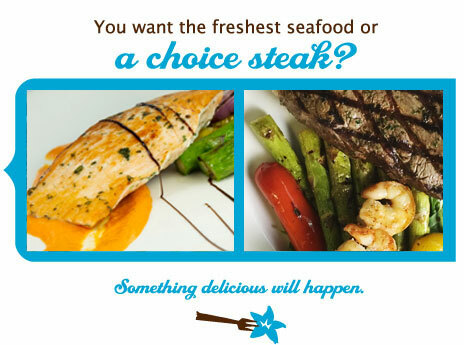 We serve them straight from the grill seared to hold in the natural juices for a succulent eating experience. After all, you know it’s good, it’s Larkspur.